Egypt and South Korea signed a memorandum of understanding (MoU) in order to promote investment relations and increase the joint investments between both countries, a Wednesday ministerial statement said. The statement noted that Sahar Nasr, Egypt’s Minister of Investment and International Cooperation, signed the new MoU with the CEO of Korea Trade-Investment Promotion Agency, Kwon Pyung-oh, during her visit to Seoul. The new MoU helps both sides to establish a practical framework for exchanging experiences, enhancing the business climate, helping to implement the developmental objectives of both countries, encouraging investment cooperation, and exchanging delegations and business visits to identify the best opportunities, mentioned the statement. The statement added that MoU will also help in the exchange of experts to provide their advisory services within the framework of specific projects and programmes such as investment opportunities mapping, investment promotion activities, preparation of sectoral studies, and ways to avoid investment disputes. The MoU stated that the two countries should exchange laws, regulations, and policies related to the investment environment in both countries, and make them available to the business community in both countries to facilitate investment and activate joint projects. Both countries will also exchange publications, periodicals and policies related to the investment climate issued by each country, elaborated the statement, noting that both countries will cooperate in doing their best to overcome any obstacles that face investors. Furthermore, the statement added that both sides agreed to set an action plan to support the investment cooperation between the two countries as soon as possible, in order to ensure the increase of Korean investments in Egypt and the expansion of the current projects, especially in the Suez Canal Economic Zone, as well as in the fields of infrastructure, SMEs, and industry. 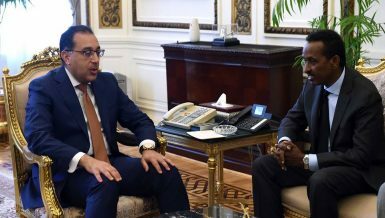 Moreover, Mohamed Moeit, Egypt’s Minister of Finance, along with Nasr continued their meetings with Korean firms on Wednesday, for discussing with the Korean side the increase of their investments in Egypt, in light of the recent reform measures implemented the Egyptian government. The meetings included Korean companies involved in the automotive industry and the food industries, said the statement. Noteworthy, Nasr, Moeit, and the Chairperson of the Suez Canal Authority and the Suez Canal Economic Zone (SCZone), Mohab Mamish, begin a visit to South Korea on Monday where they had several meetings with Korean senior officials including the Korean Prime Minister, Lee Nak-yeon, in addition to representatives of the Korean financial institutions.